Glued down the herringbone top purfling last night and today. It was a bit trickier than usually, for I had to figure out the bevel area. 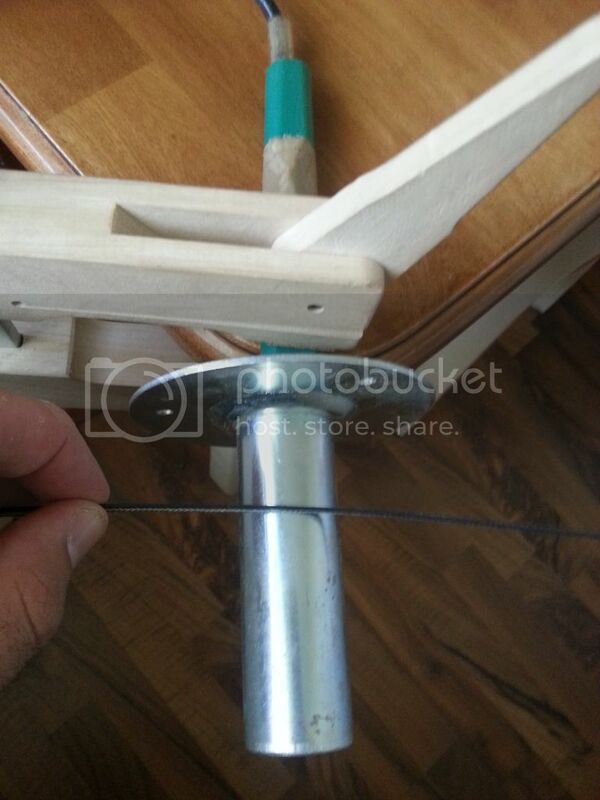 I ended up cutting the ledge for the purfling with my binding/purfling tool that you got to see in action in the previous post. The bevel area I cut by hand, using a sharp micro chisel and knife. I bend the herringbone using a simple setup: an old soldering iron clamped to the table, and a piece of metal tube around the shank as a heat sink and working surface. The iron itself is too hot to work with, but the tube nicely tames the heat a bit. 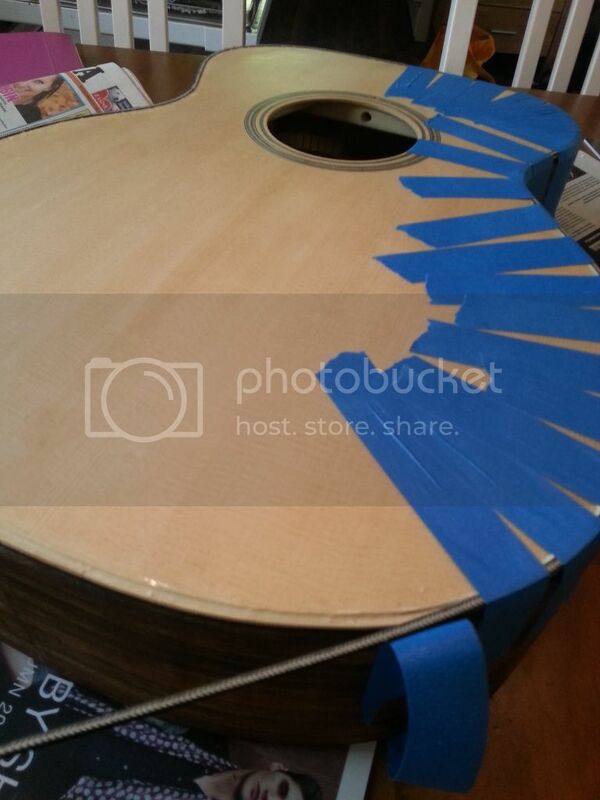 For gluing down the binding, I absolutely recommend using the BLUE, weatherproof masking tape. I like the soldering iron idea. Where do you get that blue tape? Sinistä teippiä saa stew macilta, mutta myös jokaisesta rautakaupasta. Se on uv-suojattua ja kestää ulkotöissä paremmin. Ja myös näissä sisätöissä.